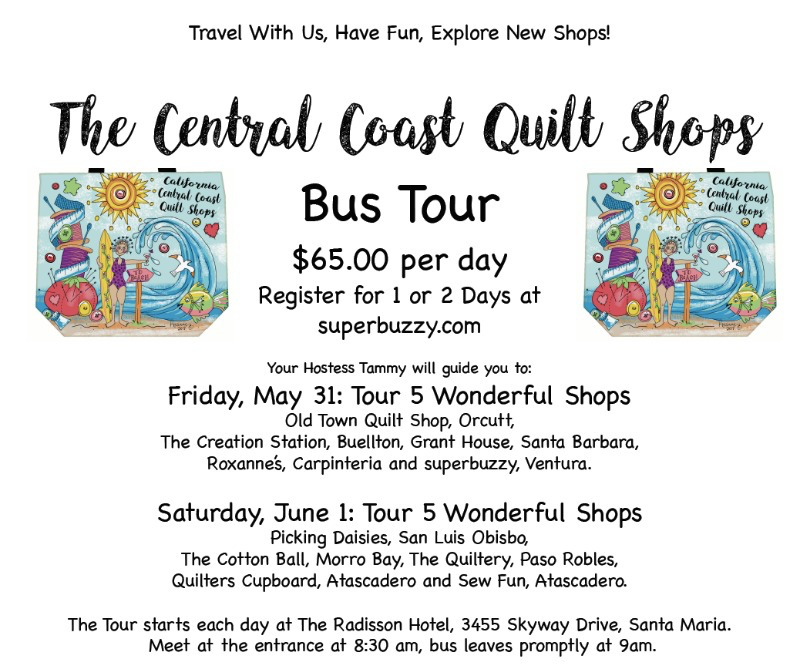 Old Town Quilt Shop in Orcutt, The Creation Station in Buellton, Grant House in Santa Barbara, Roxanne’s in Carpinteria and superbuzzy in Ventura. Picking Daisies in San Luis Obispo, The Cotton Ball in Morro Bay, The Quiltery in Paso Robles, Quilters Cupboard in Atascadero and Sew Fun in Atascadero. 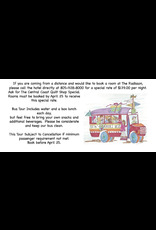 The Tour starts each day at The Radisson Hotel, 3455 Skyway Drive, Santa Maria. Meet at the entrance at 8:30 am, bus leaves promptly at 9am. please call the hotel directly at 805-928-8000 for a special rate of $139.00 per night. Ask for The Central Coast Quilt Shop Special. Rooms must be booked by April 25 to receive this special rate. Bus Tour Includes water and a box lunch each day, but feel free to bring your own snacks and additional beverages. Please be considerate and keep our bus clean. This Tour Subject to Cancellation if minimum passenger requirement not met. 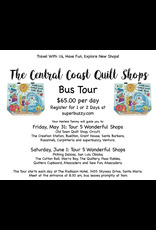 Click here for more details about The Central Coast Quilt Shop Tour.